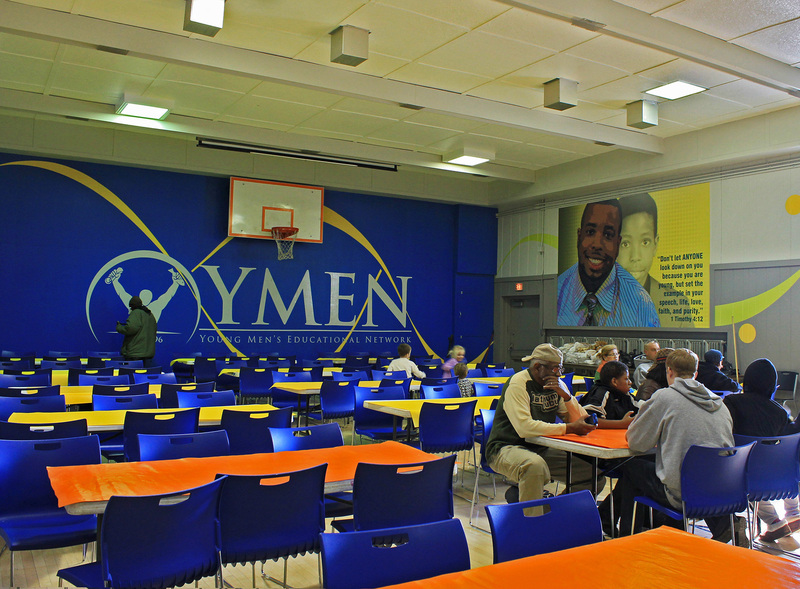 YMEN (Young Men’s Educational Network) was started in 1996 by Michael Trout as an educational and mentoring resource for boys and young men of the Lawndale neighborhood in Chicago. Some of the original kids who went through the program are now grown up and helping to run it. 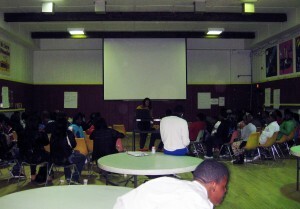 In recent years, YMEN also started a small program for girls and women called PEARL. 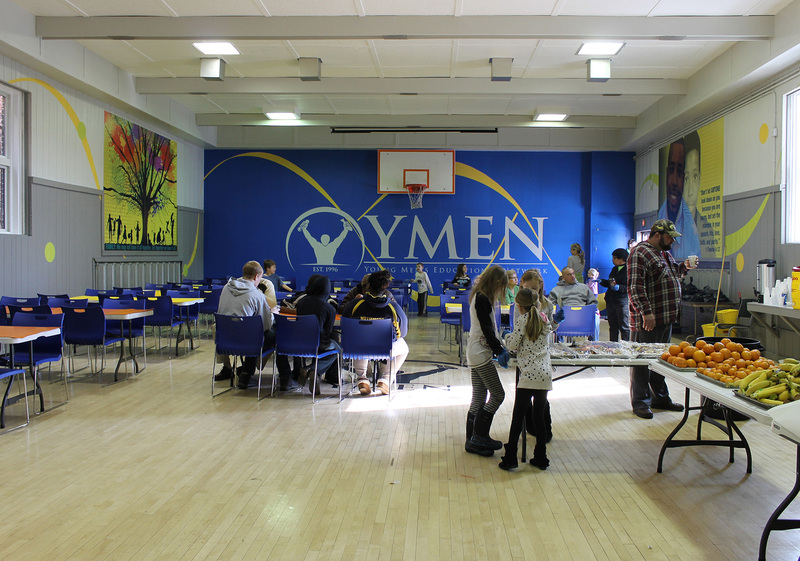 One of our clients became involved with YMEN through his church. He and a group of fellow church members formed a group that regularly helped out in the YMEN community kitchen on the weekends. From this, he decided he wanted to do something more and spearheaded the remodeling of their kitchen, and Trimark Marlin volunteers helped make it possible. The project then expanded to include remodeling the adjacent multi-purpose room. The multi-purpose room not only serves as the dining hall for the kitchen, but also as a gymnasium and special events room. Aria Group Architects, Inc. volunteered to do interior design for the multi-purpose room. Shannon Sterne and Alex Fuente-Navarro, along with Michelle Sharpe and Kristina Michelsen, worked on the project, coordinating the new paint colors, furnishings, millwork, artwork and other details with an eye toward updating the YMEN branding and identity. The renovations, featuring the Royal Blue signature color, updates and refreshes the space. The kitchen was complete in early November and the renovated multi-purpose room was completed in time to celebrate the Holiday Season. The Aria Group volunteers had the opportunity to help serve food in the new kitchen over the Thanksgiving weekend. It was a great way to see the results of their work and a chance to meet some of the people who will be using the space. More pictures can be found on the Aria Group Facebook page, under “Albums”.